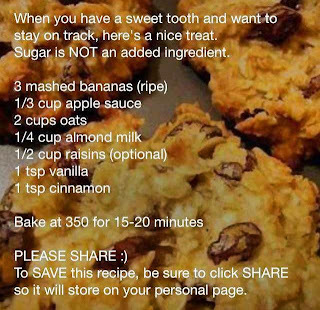 This recipe started making the rounds on May 13th, 2013 on Facebook, as best I can figure. The earliest mention of it (using this image, at least) is from a post in a group called The Road to Healthy. The first time I made this I made the recipe exactly as shown and baked some of the cookies, then I added an egg and baked the rest. I thought the egg would be an improvement but the eggless cookies were snapped up and the rest just lay around until I eventually ate them over a period of days. The egg made them a bit too custardy or something. 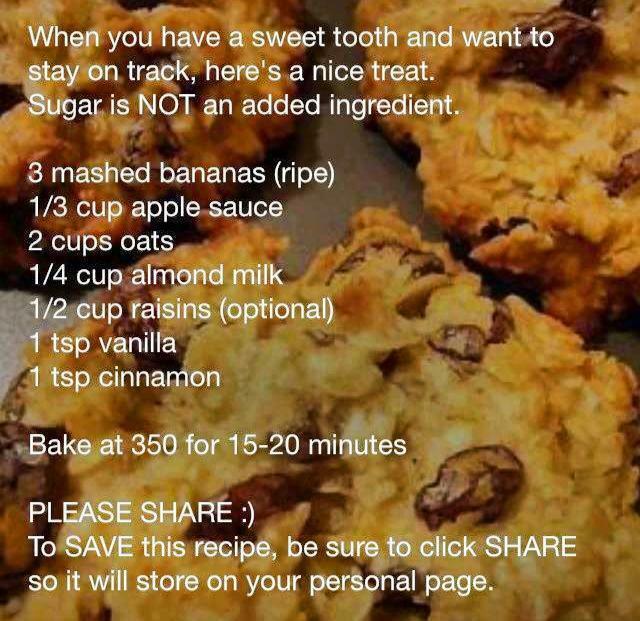 On the Facebook post people recommend all sorts of variations from adding chocolate chips or cranberries to throwing in granola or walnuts. They're really easy to make and rather tasty. I've seen this one on FB so won't share it. It's good to know that it's worth trying. Some of the recipes I've tried have been not worth repeating. I tried a chicken one not too long ago and it was too salty even though I didn't add salt. When I see one of my friends sharing that particular one, I always add my opinion of it.